Our Perfume Oil Sets come with 3 Roll On Bottles, in our choice of Color, 3 Caps and 3 Rollers. 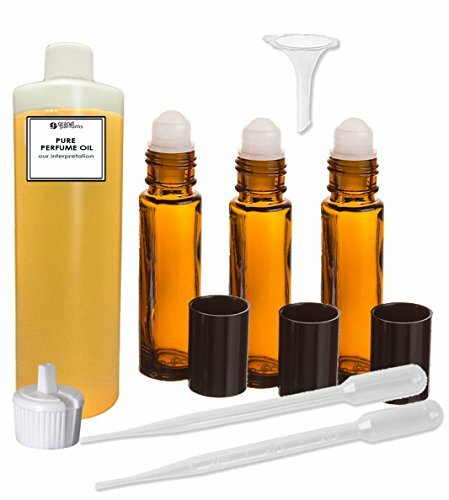 We also supply you with a Spout Cap to easily pour the oil from the original container into the roll on bottles, a funnel and 2 pipettes. If you have any questions about this product by Grand Parfums, contact us by completing and submitting the form below. If you are looking for a specif part number, please include it with your message.